Boom! President Trump Defends Judge Jeanine Pirro – Tells FOX News to Bring Her Back! 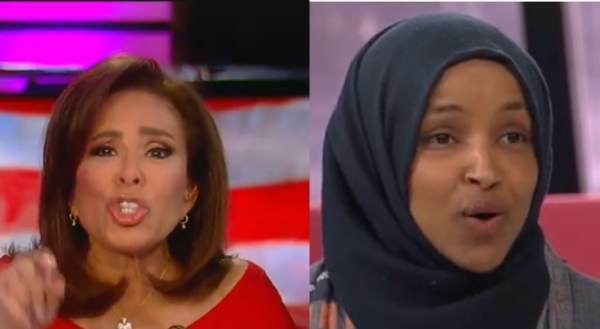 Following the controversy over her remarks about Muslim Rep. Ilhan Omar (D-MN), the Fox News Channel has abruptly canceled Saturday night’s scheduled airing of the Justice with Judge Jeanine Pirro show that regularly airs at 9 p.m. on Saturday, according to a report by Variety. The sudden cancellation came a day after a terror attack on two New Zealand mosques by a white eco-nationalist killed 50 Muslims and wounded dozens more. On Sunday morning President Trump weighed in on the controversy and urge FOX News to bring back Judge Jeanine. President Trump: Bring back @JudgeJeanine Pirro. The Radical Left Democrats, working closely with their beloved partner, the Fake News Media, is using every trick in the book to SILENCE a majority of our Country. They have all out campaigns against @FoxNews hosts who are doing too well. Fox must stay strong and fight back with vigor. Stop working soooo hard on being politically correct, which will only bring you down, and continue to fight for our Country. The losers all want what you have, don’t give it to them. Be strong & prosper, be weak & die! Stay true to the people that got you there. Keep fighting for Tucker, and fight hard for @JudgeJeanine. Your competitors are jealous – they all want what you’ve got – NUMBER ONE. Don’t hand it to them on a silver platter. They can’t beat you, you can only beat yourselves! The post Boom! President Trump Defends Judge Jeanine Pirro – Tells FOX News to Bring Her Back! appeared first on The Gateway Pundit.